On 1 February 2012, BMW Classic Parts Supply launched its new online shop. Now customers can order spare parts for their BMW classics speedily, easily and from the comfort of their home. For BMW Classic the online shop represents “the next phase in the realignment of the business field and a further logical step towards customer satisfaction and customer-oriented service”, noted Ralf Vierlein, Head of Sales and Aftersales at BMW Group Classic. Customers can visit the online shop at http://shop.bmw-classic.de, search for appropriate spare parts for their classic vehicles and order them online. Furthermore, information is provided on the suitability of parts for various model ranges. This service is currently available for customers in Germany. Starting in April 2012 this service will be expanded to further European markets. The range of parts in the new online shop currently totals some 35,000 items for classic BMW cars and motorcycles dating from 1960 to around 1990. Large, heavy spare parts, dangerous goods and materials, electronic components and yard goods are excluded from the range. 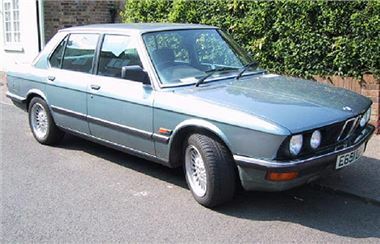 For customers, the online Parts Shop will not only make the search for spare parts much easier, it will also facilitate the replacement process: when a component is purchased, a BMW partner is automatically recommended to help the customer restore his or her classic vehicle and to provide technical support. The BMW Classic Parts Supply online shop will be presented for the first time at the Bremen Exhibition Centre during the Bremen Classic Motorshow, which takes place from 3 – 5 February 2012. The online shop can be accessed with immediate effect on the BMW Classic website at www.bmw-classic.de and www.bmw-classic.com.